Join the discussion on our forums! Come discuss Power of Creation over in our dedicated Power of Creation discussion topic. One of the best cards ever! Combine it with Khadgar and win! Fun to play at least. Will not be in top tier decks for sure. Would have been beter if you could have discovered minions from any class. 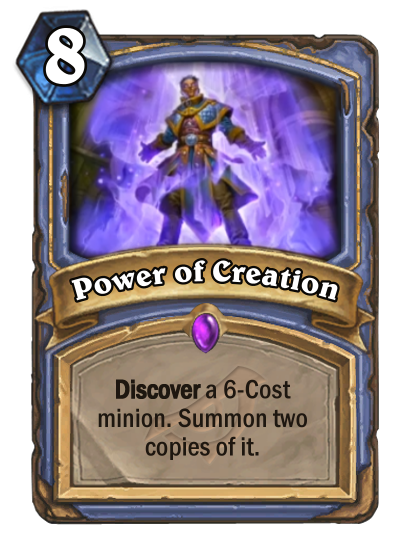 Sadly enough Spiteful Summoner rotates out but this will be really good for that deck. For arena this card is still fine.